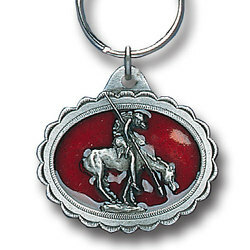 End of the Trail key chain depicts an American Indian brave hanging limp as his horse comes to an abrupt halt just prior to momentum carrying him over an unseen precipice. 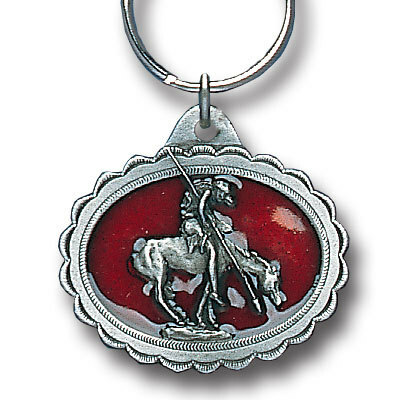 Key chain is enhanced with dark red enamel. Key chain is 1-1/2" x 1-1/4".